How Can I Avoid Unexpected Costs When Remodeling? 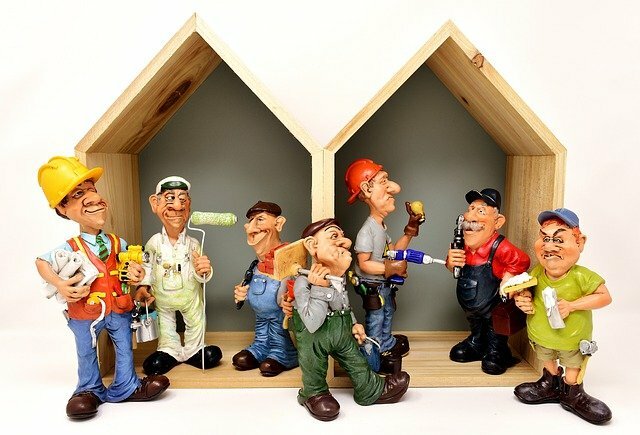 When you hire a contractor for your home renovation project, you’ll have some sort of list (whether it’s on paper or in your head) of tasks and modifications that you want done to your home, and you will have an idea of the costs for these projects. However, even the most well-planned renovation project is subject to hidden costs that may arise during the contractor’s work. In most cases, once you have selected a particular contractor for your home renovation project, you leave it in his or her capable hands. However, it is important that you feel that you can trust him. Don’t just depend on your guts but also their history and references. The contractor will usually conduct a basic survey and inspection of the property, and give you an estimate of the costs that will be incurred on the renovations that you desire. Of course, you can always the Renovation Estimator to get that estimate before you talk to him/her so that you have a solid reference point to discuss. Once you approve the estimated charges, the construction process will begin — rooms get torn apart and walls come down, according to the plan for the renovation. Your life will be different for some time and you should be prepared. Unfortunately, most homeowners fail to differentiate between estimated and final costs, and to allocate their money accordingly. Most spend their entire home renovation budget on the initial cost of the project without keeping some aside for unexpected costs. The danger in doing so comes when any sudden and unexpected incident results in a fluctuation of the overall costs of the project. Homeowners who have not set any money aside are left unprepared. Many contractors have been faced with hidden damages once the renovation project has begun. These issues include dry rot and termite damage, as well as damage from other pests and weather conditions, some of which are not visible until a wall has come down or a floor has been torn up. However, once these damages have been discovered, it’s the job of the contractor to relay the bad news to the homeowner, who is now liable to pay for these unexpected repairs so that the project can progress smoothly, and be completed on time if that is even possible. A good contractor will always leave a cushion for surprises so hopefully, it does not affect your promised final day. In general, it’s a good idea to have some knowledge of the change order policy. Some contractors will only charge for time and materials if an issue arises, and eliminate the change order fee. One of the biggest rules in home renovation is to prepare for the unexpected. This is why you need to set your budget with the idea of hidden costs in mind. Failure to do so can have upsetting results. The main consequence of being unprepared is that you will end up sacrificing the things you want in your dream space. 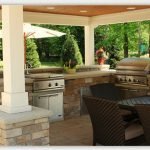 When the costs of a remodel suddenly increase, you then need to settle for something less in order to finance urgent repairs, without which the project could not be completed. A leak that you didn’t know about may have caused your floors to rot, and without planning for unexpected costs, that leak can end up costing you those high-end countertops you’ve been eying for months. Considering the negative side of the picture, it is best to have leeway in your allocated budget — think nearly 20 percent of the total renovation cost. Also, it could be helpful to know which finishes or items you could live without if sacrifices need to be made so that you don’t waste time making these decisions. As mentioned above, many contractors will provide you with a free inspection of your property before the work is initiated. However, this survey is very basic and does not include a thorough search for hidden damages. Therefore, do not expect that your contractor will be aware of the hidden damages beforehand. If you want to set your budget in the best manner possible and prepare yourself for repairs without facing any nasty surprises during the project, it is recommended that you hire your contractor for a charged survey of the property. Contractors want renovation projects to go smoothly too. Commissioning a thorough inspection of the unseen areas of your home, such as the crawl space, can help determine what damages you may expect once the renovation begins. This will help your renovation stay on track and on budget. Neither your nor your contractor can foresee every obstacle in a renovation. However, by allocating some of your remodeling budget to unexpected costs, and doing everything you can to learn about the damage before you start tearing things down, you (and your wallet) can relax and enjoy watching your home transform. What surprises have you encountered with your home renovation projects? Share your thoughts and photos with KUKUN in the comment section below.